How did you become interested in your field of public health? What lead you to DLSPH? I was always interested in mathematics and enjoyed applications so Statistics/Biostatistics is a natural choice. At Western, I was part of the first undergraduate class in Statistics. The Biostatistics program at University of Toronto was new and one of the few that existed in 1985 so I wasted no time in applying. I graduated in 1990 when there was no DLSPH! Having a real impact on health policy – I have been very lucky to be involved in projects at both the national and state level. For example, I lead a Medical Device Epidemiology Network Methodology Center to develop statistical methodology for post-market surveillance strategies of medical devices for the U.S. Food and Drug Administration; in Massachusetts, I direct the data coordinating center that monitors the quality and safety of all cardiac surgery and percutaneous interventions performed in all non-federal hospitals in the state. In what ways has your DLSPH experience had an impact on your career? In addition to providing a solid academic background and set of experiences, I can say (with very high probability), I would not be at Harvard Medical School. When I graduated, I was encouraged by a faculty member at U of T to reject some of the job offers I had as “something” better would arrive – I was nervous to reject the job offers without a backup plan but I did. Sure enough, I was offered a post-doctoral fellowship at Harvard Medical School, and have been here since! While completing my PhD, the Biostatistics program was small in terms of number of graduate student but the group was powerful! We called ourselves the “BUGS” [Biostatistics Union of Graduate Students] and socialized often — we attended professional meetings together [Statistical Society of Canada; and the Joint Statistical Meetings] as well as other events. The support of my fellow students helped me complete my PhD and to enjoy virtually every minute of it. “good science proceeds slowly” so I would advise students to push ahead with an idea because it is almost surely important. I was told that “good science proceeds slowly” so I would advise students to push ahead with an idea because it is almost surely important. I would also urge students to make the most use of their fellow graduate students. What would you say to a prospective student who is considering DLSPH? While I cannot speak directly to the DLSPH given it did not exist while I was at University of Toronto, I cannot emphasize enough the advantages and opportunities that exist at U of T given its strategic location in the city, its stellar faculty, and its partnerships with hospitals and other research organizations – hence, I would say “Select DLSPH”! I cannot emphasize enough the advantages and opportunities that exist at U of T given its strategic location in the city, its stellar faculty, and its partnerships with hospitals and other research organizations – hence, I would say “Select DLSPH”! What was your favorite course at DLSPH? The most interesting and impactful course was participation in the “Clinical Research Support Unit” which was a statistical consulting center led by Prof. David Andrews (who was Chair of Statistics and Biostatistics at the time) and other Biostatistics faculty. The graduate students were responsible for providing analyses (not just consulting) for university and other researchers with leadership from the faculty. This provided hands-on experience in the real world where data are never as nice as in courses. Do you have a favorite or funny story about your time at DLSPH? The BUGS had plenty of fun times – one that I share relates to the office of one of the professors. Laszlo Endrenyi (one of our favourite professors) had a rather cluttered and disorganized office. We would be amazed when he would reach behind his numerous huge piles of papers to retrieve exactly the one he wished to discuss. The heights of those piles of papers was always in question and so, we actually had a contest opened to all graduate students and faculty to guess the actual height of the largest pile. A picture was taken of his office, displayed in a central location, and people placed their guesses. We measured several times, a good statistical practice to reduce measurement error. I cannot recall who won but I know we did not permit Prof. Endrenyi to participate in the voting. With more than 50 funded research projects, over 250 publications, and well over 100 academic presentations to her name, Dr. Normand is unquestionably a distinguished leader in her field. 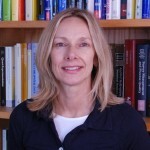 In addition to her professorial roles at Harvard, Dr. Normand is currently a Member of the Committee on Applied and Theoretical Statistics, National Academy of Sciences; a Scientific Advisory Board Member, Institute of Clinical Evaluative Science; a Board Member of the Frontier Science and Technology Research Foundation, Inc.; and a newly appointed Member, Executive Board, of the International Biometrics Society. Her long list of awards and honours, most recently, include: the Distinguished Scientist Award, American Heart Association (2012); the Distinguished Service Award, International Society for Pharmacoeconomics and Outcomes Research (2012); and the Long Term Excellence Award, American Statistical Association, Health Policy Statistics Section.